Tear kale into bite size pieces. Avoid tough center stem. 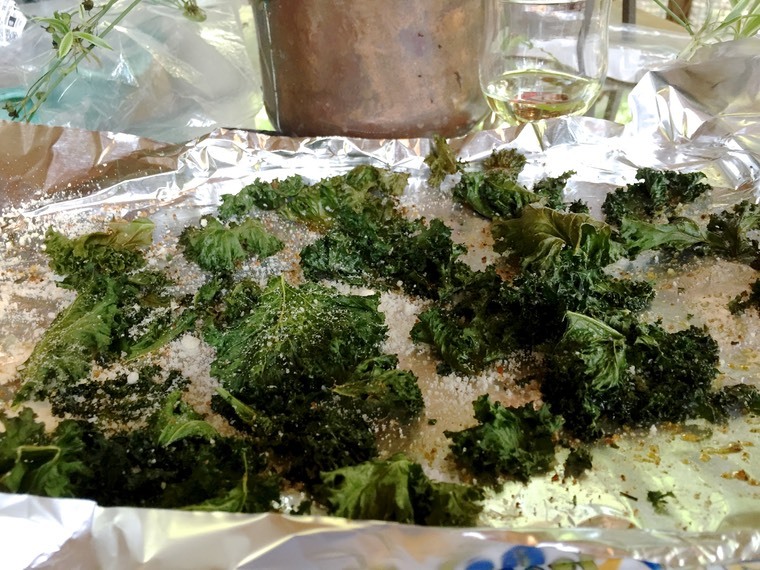 Place kale on prepared baking sheet. Coat with oil, salt, and seasoning and mix with your hands. Bake about 20 minutes until crisp.